Many parts of Crantock are maintained by the National Trust, including the village 'Round Garden' and the headland coastal paths. Walkers and ramblers find a haven as they walk for mile upon mile along the natural, rugged coastline. The coastal path can be accessed within a short stroll from Ivy Cottage, making it an ideal base for all outdoor pursuits, whatever the season and whatever the weather. One of Crantock's inns, The Old Albion Inn is a beautiful thatched building, historically renowned for its rich tapestry of smugglers' tales. Today it sells home-cooked meals, bar snacks, real ales and a good selection of drinks for all tastes. It still retains many of its original features from times gone by, one of which being the original smuggler's escape tunnel, used to avoid capture. Opposite The Old Albion Inn is The Cornishman Inn, ideally suited to families and again serves a good choice of food and drink to suit all. The village's ancient church, St Carantoc Church, has been established on this site since 600AD, surviving the trials of historic battles and of course, smugglers. Just a few minutes stroll from Ivy Cottage, unfolds Crantock's golden, sandy beach, embraced by the East and West Pentire headlands. 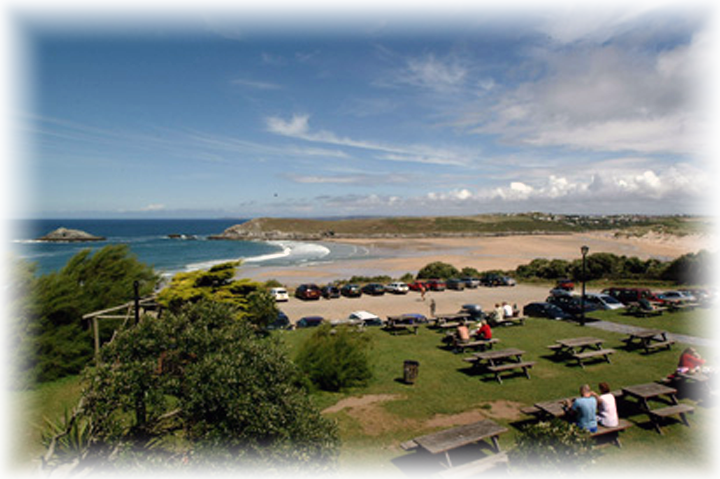 Pass through the undulating stretches of golden quilted sand dunes, and gradually descend onto Crantock Beach. A safe, clean, expansive fine golden sandy beach awaits, encased by rugged cliff sides, punctuated by caves and rockpools. As an alternative, follow the quiet public footpath along Green Lane (a private road behind Ivy Cottage), which takes you through Rushy Green. Look ahead as the treasured beauties of Crantock Beach and Goose Rock gradually unfold before your eyes. The popular (but never overcrowded) Crantock beach offers a delight whatever your taste. Many visitors enjoy surfing, sunbathing, walking, paddling in the rock-pools and exploring the fine rugged coastline and hidden caves. During the summer months, the beach is life-guard patrolled. From the beach, access to Newquay can be gained either by tidal footbridge or ferry (seasonal) across the River Gannel. 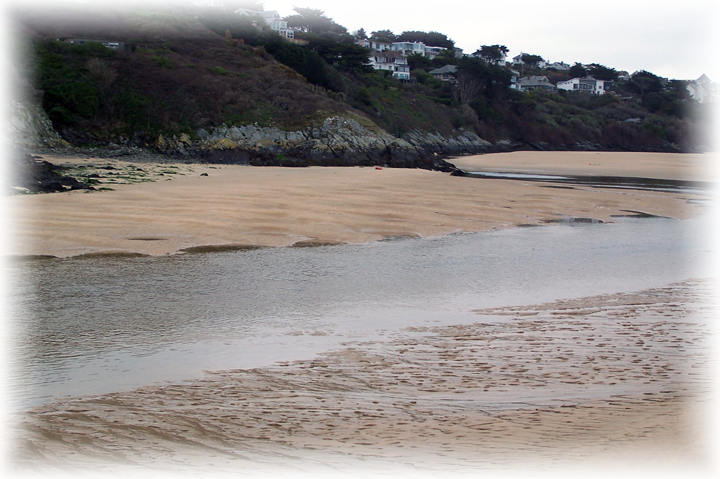 Crantock Beach also accommodates a tidal river estuary called 'The Gannel', which can be crossed by a footbridge during low tide and by ferry (high-mid season only), during high tide. 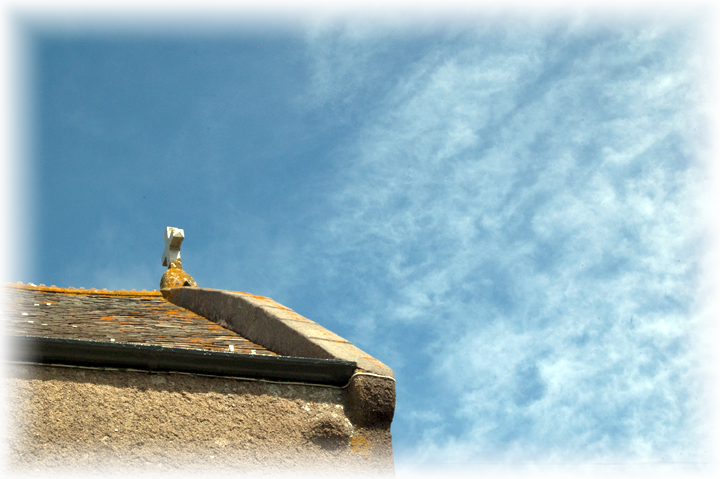 Positioned in an enviable position on the West Pentire headland sits the Bowgie Inn. A stunning setting for eating or enjoying a few drinks after a walk on the beautiful headland or the unspoiled beaches. The Bowgie offers a choice of bars, from a traditional snug, to the heated, outdoor deck or the newly added sun lounge. The Ocean Bar offers a modern day twist for sports viewing with a contemporary bar with plasma screens. Once across The Gannel by tidal footbridge or seasonal ferry from Crantock beach, you can access the East Pentire headland and then on to the Victorian established town of Newquay. This route takes you past the Fern Pit Café on Riverside Crescent, a haunt for weary walkers and families alike. Walking on will lead you to the Trenance Boating Lake, Newquay). Newquay is famouns for an array of beaches, to suit all tastes of sporting and leisure pursuits. 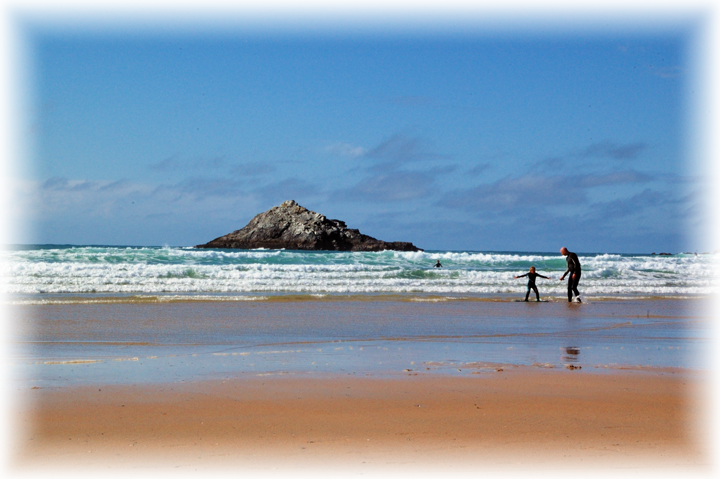 Take time to discover nearby Polly Joke beach by car or simply by walking south from Crantock along the coastal path. For local weather information, click here.